The goal of our department is to increase and improve student achievement by meeting the needs of the students. 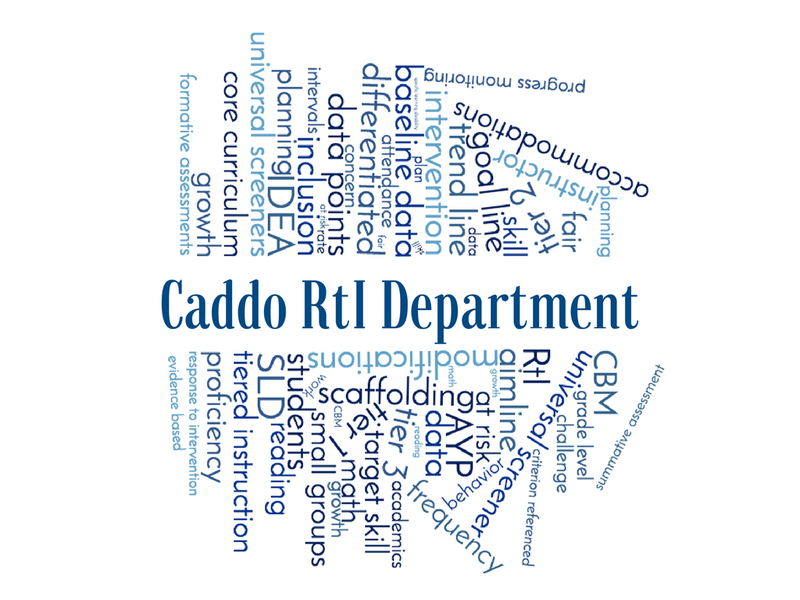 Our RtI model seeks to assist parents, students, and staff to achieve this goal through high-quality instruction, monitoring of student progress, research-based interventions, and using this data to make decisions. Using data-based interventions and interventions based on scientific research to determine eligibility for learning disabilities is stressed in IDEA 2004. With a RtI approach, general education teachers assume increased responsibility for delivering high-quality instruction to early-identified struggling students.